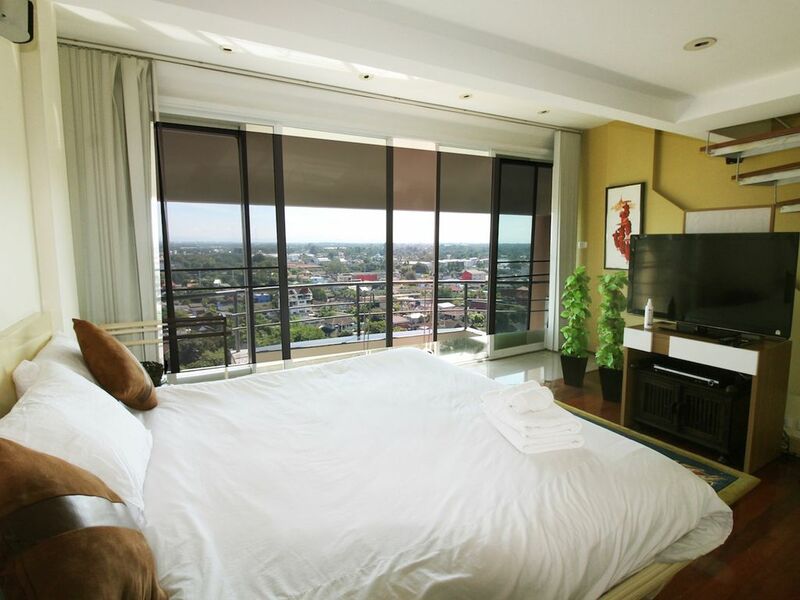 My Top floor Penthouse apartment comes with 2 bedrooms with big king size beds. In the living room you will find a big nice big sofa, able to 2 more guest. The one bathroom has a full shower and tub and one bathroom with only toilet. Our kitchen contains all of the necessary equipment for you to prepare your meals, including an microware. Plenty of working surface. There is also a big refrigerator with a freezer and washing machine and we have also Laundry service in the reception. Minimart is located in the building but you can also walk about 500 meter to 7/11. Onsite restaurant in the building with breakfast starting from only 80 baht. 2 lift so easy and fast to go up and down. I will be partially present around the house, but I am available 24/7 if you should you need anything, and will make sure all your wishes are taken care of. Maximum privacy. Just short drive to the public swimming pool where they also have kids pool, tennis and squash. You can find many great places for golf as we can help for bring and pickup. Other tourist attractions beside outdoor activities such as mountain biking, hiking, jungle etc. include Chiang Mai Zoo Park 20-25 min drive away. Check out at 11AM, Check in is after 2PM but you can leave you bags in our office. Flexible check-in upon prior notice. * Large air-con in all rooms.